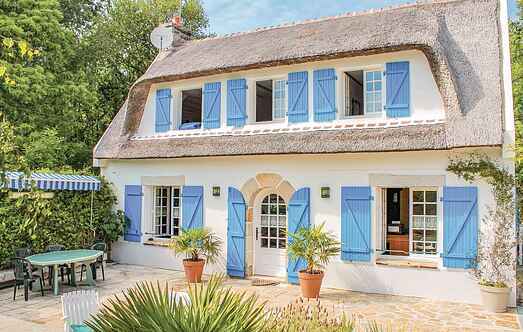 Find a vacation home to rent in Moëlan-sur-Mer from our list of vacation rental properties. Campaya has over 18 vacation homes available in Moëlan-sur-Mer, which give you the possibility to locate a unique accommodation in Moëlan-sur-Mer which completes your check-list in search for the perfect self catering vacation apartments in Moëlan-sur-Mer or vacation villas in Moëlan-sur-Mer. This attractive, thatched cottage is situated in a highly secluded location, in the heart of the countryside. This very attractive Breton holiday villa is surrounded by a large garden on the edge of a private wood. This modern and cosy house, with an enclosed garden is not far from Pont-Aven and is ideal for a seaside holiday. This cosy detached holiday cottage, has been pleasently furnished and decorated, it is close to the charming fishing port of Brigneau, and just 200m from the sea. This house, which is in a quiet village surrounded by green fields is close to the attractive sights of the region and the sandy beaches. This modern and spacious detached villa enjoys fantastic sea views and has been tastefully decorated with a nautical décor. This spacious holiday home with indoor swimming pool is fantastically positioned just 250 metres from one of the most popular beaches in South Finistère. 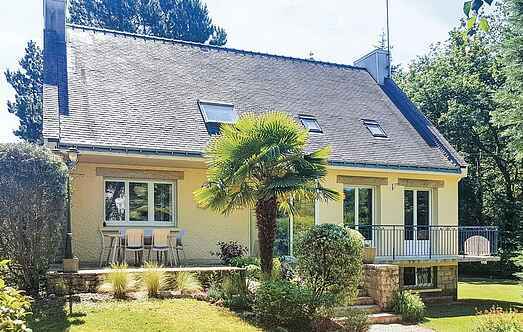 Spacious house with large garden 10mins from the Brittany beaches! Beautiful villa with private swimming pool, jacuzzi, sauna and view on the sea! Detached villa within walking distance of the beach, with a swimming pool and a sauna.